Recently renovated, clean, and the location is excellent. Very cosy and practical for a family. Everything you need for your stay including a fully equipped kitchen, and games and books to borrow. Lovely leafy grounds and The pool was great too! Location and facilities were great. Central to everything. We stayed at the Medina Kingston for a National Veterans Cricket Championship. On booking in we were upgraded to a 2 bedroom apartment which was great - having the extra room was wonderful considering the amount of cricket gear we needed to bring! The facilities were great in the room, especially the washing machine and dryer. The facilities on the property were also great, and were put to good use - 2 pools (indoor and outdoor), spa sauna and BBQ. 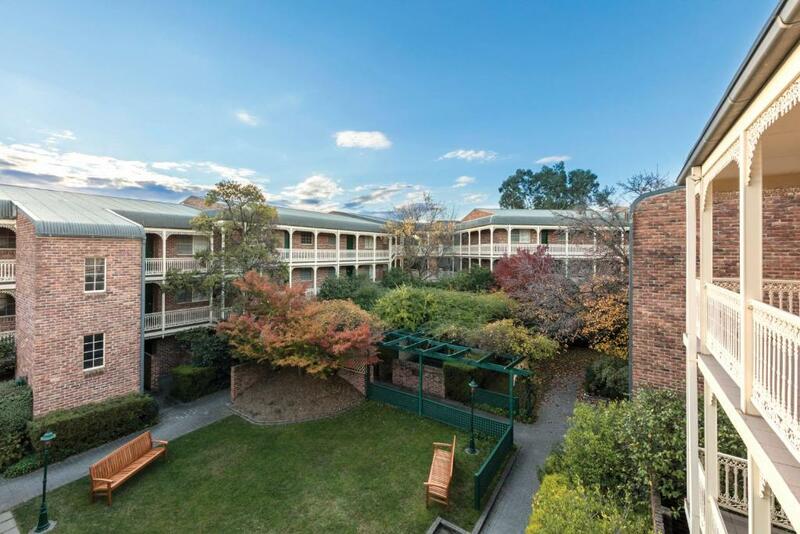 The location was also superb - short walking distance to the Manuka shops (which I love), Kingston shops, pub (across the road) and Manuka oval (around the corner). A short drive to everywhere else in Canberra. Spacious serviced two bedroom apartment with large kitchen and living space. Very quiet and easy walk to Kingston shops and restaurants and the old bus depot markets. The bed was fine,but the pillows were high and like a rock. Bathrooms were beautifully renovated, laundry facilities in room. Great location. 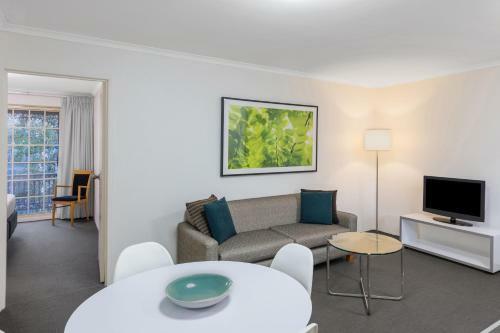 Lock in a great price for Adina Serviced Apartments Canberra Kingston – rated 8.8 by recent guests! Adina Serviced Apartments Canberra Kingston This rating is a reflection of how the property compares to the industry standard when it comes to price, facilities and services available. It's based on a self-evaluation by the property. Use this rating to help choose your stay! One of our best sellers in Canberra! 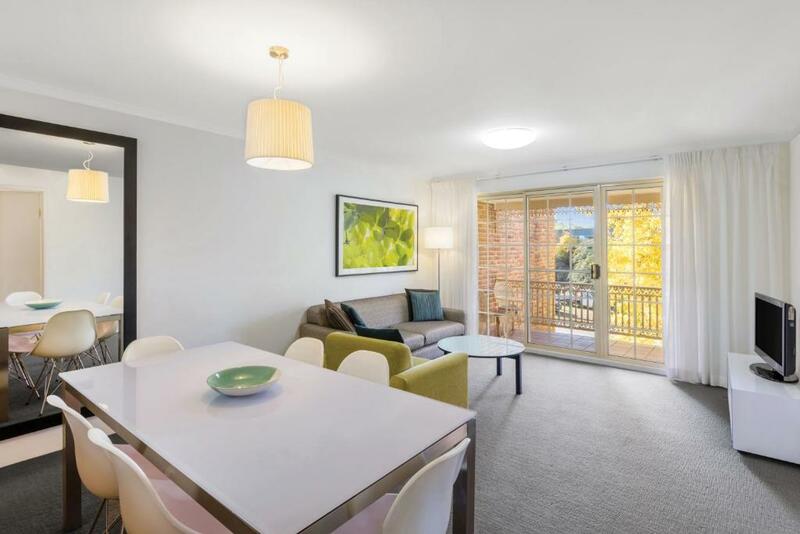 Medina Serviced Apartments Canberra offers spacious, fully self-contained apartments in the leafy suburb of Kingston, Canberra, just 5 minutes from Parliament House, the embassies, the National Art Gallery and other major attractions. During your stay you can enjoy amenities such as indoor and outdoor swimming pool, hot tub and sauna. Barbecue facilities are also at your disposal. Accommodations at the Medina Serviced Apartments is set around peaceful gardens. All the 1 and 2-bedroom apartments are equipped with full kitchen and laundry facilities, air conditioning and balcony. Guests receive free unlimited internet for two devices per apartment. 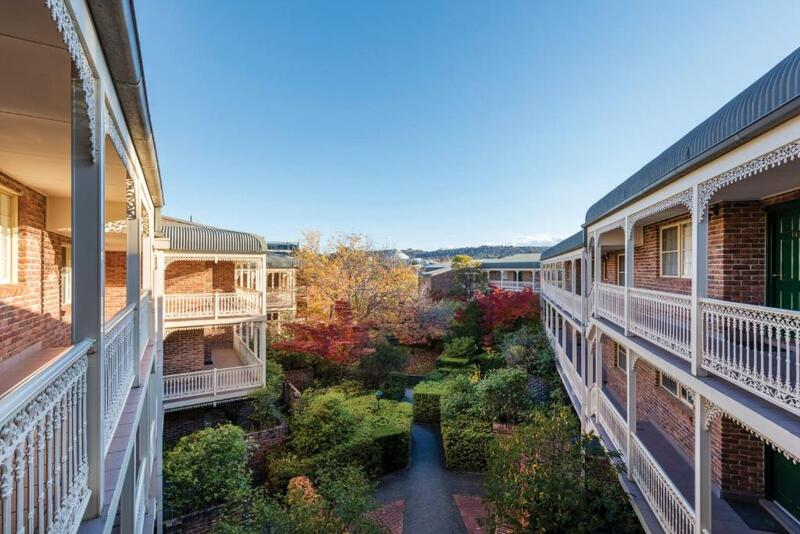 The Canberra CBD is approximately 2.5 mi away and easily accessible by public transport. The Old Bus Depot Markets is a 10-minute walk away, and a variety of boutiques, shops and restaurants are within a short walking distance. Canberra Airport is approximately 6.2 miles away. This property also has one of the top-rated locations in Canberra! Guests are happier about it compared to other properties in the area. 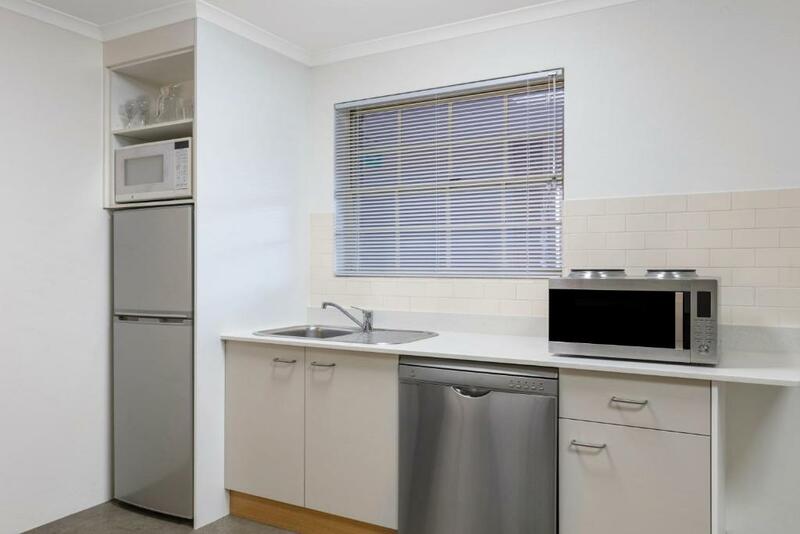 This property is also rated for the best value in Canberra! Guests are getting more for their money when compared to other properties in this city. 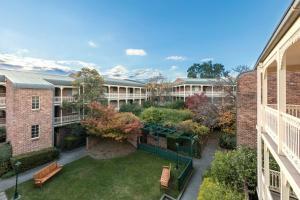 When would you like to stay at Adina Serviced Apartments Canberra Kingston? This air-conditioned apartment features a private balcony and full kitchen and laundry facilities. 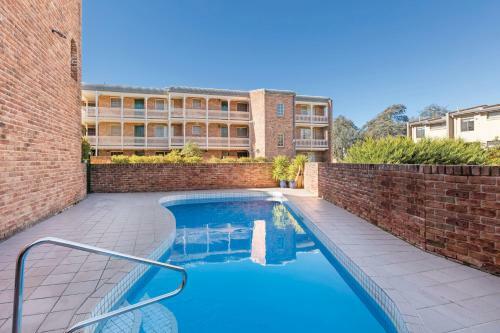 Your Home Away from Home Medina Serviced Apartments have been welcoming guests to high quality serviced apartments in Australia for over 35 years. Accommodation options include one and two bedroom apartments, as well as studio rooms - a perfect fit for one or many. Each spacious apartment is appointed with a range of contemporary and functional features such as: fully equipped kitchens and laundries, and comfortable living spaces. Medina Serviced Apartments also comprise lifestyle facilities and gardens, making them an ideal choice for family holidays, business trips, relocations and more. House Rules Adina Serviced Apartments Canberra Kingston takes special requests – add in the next step! Adina Serviced Apartments Canberra Kingston accepts these cards and reserves the right to temporarily hold an amount prior to arrival. Please note that there is a 1.2% charge when you pay with a Visa or Mastercard credit card. Please note that there is a 2.5% charge when you pay with an American Express or Diners Club credit card. Guests receive free unlimited internet for two devices per apartment. A damage deposit of AUD 50 is required upon arrival – that's about 35.90USD. This deposit is fully refundable at check-out as long as there's been no damage to the property. There was some limited evidence of the people who had stayed in the room before us (beer bottle and rubbish shoved under a couch) but on the whole it was marvellous. Although on a busy road, the location of these apartments was amazing for accessing restaurants, shops and local attractions. There was nothing we could think of that we could say we did not like. 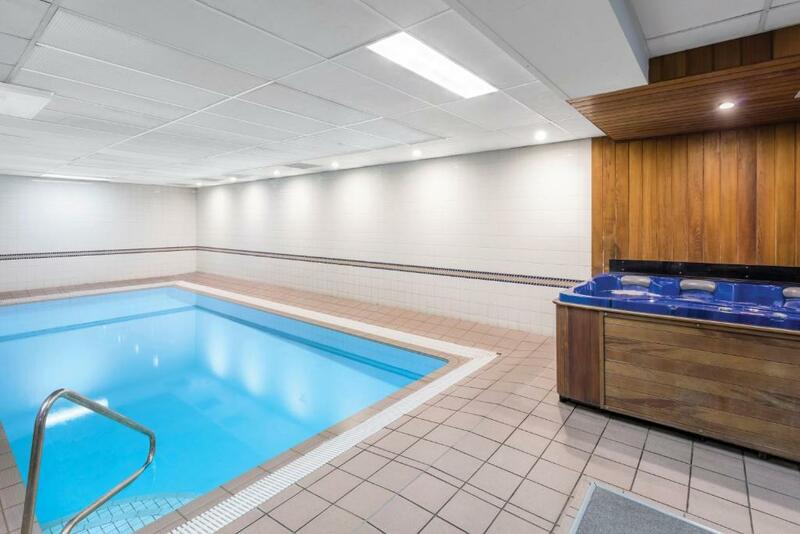 the location was great for us very central for everything we wanted to do and as we have previously stayed in the same appartments we woukd be more than happy to return to this facility. As above wi fi not available without paying for it. No wifi in the room but could get it in the reception. Told by staff that I would have to pay extra not happy about that and declined. Very annoying. Ver comfortable place. Beds and pillows were of a high standard. Go for ground floor appartments. Everything was wonderful. The apartment was fantastic with plenty of room and a great kitchen and the bed was super comfy and roomy. I found the apartments to be very comfortable, clean ,staff very friendly and helpful. It was a little further out than I would normally like, as I don't drive while in Canberra. Overall cleaniless of the unit could still be improved. Found few hairs in bathtub on arrival and quite a lots of cigarette butts in unit small garden.